Fulham host Wigan at Craven Cottage this Saturday in what looks set to be a tightly-contested match between two in-form sides. Wigan visit the capital with real, but somewhat unexpected, momentum behind them. Back-to-back wins against Manchester United and Arsenal have capped off a fine run for the Latics, which has seen them win four out of their last five games and suffer just two defeats in 11. Only two teams have fared better over the past six games in the Premier League – a true testament to the fighting spirit of the north-west side. Latics manager Roberto Martinez will, however, be acutely aware of the need to finish his team’s great escape from relegation sooner rather than later. With 18th placed Bolton having two games in hand, and lying only five points behind them, Wigan’s players cannot afford to take their feet off the gas. 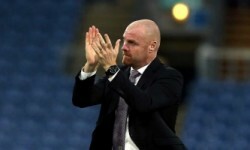 Two wins separate them from the 40 point tally often used as a benchmark for guaranteed Premier League survival and they will be keen to edge closer to this target before massive six-pointers against fellow relegation-strugglers Blackburn and Wolves in their final two fixtures. Fulham rarely start off well at home – they have been losing at half time at Craven Cottage more times than they have been winning or drawing – but tend to pick up in the second half. Fulham will have other ideas, though, and will be confident that they can take maximum points at the weekend. They, too, are enjoying a good run of late, grabbing a point at home to Chelsea and securing wins against Bolton and Norwich. And while they have comparatively less to play for, Martin Jol will be keen to ensure that they edge to the top of the cluster of clubs between 7th and 14th that are currently separated by a mere five points. 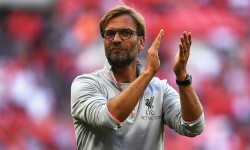 A tricky run-in – which sees them visit Goodison Park, Anfield, and White Hart Lane – further increases the importance of them securing points against Wigan on Saturday. With both teams enjoying successes in recent weeks, it comes as something of a surprise that Wigan odds on a win are as long as 16/5. Fulham are 4/5 favourites in bwin’s 3Way football betting market at 4/5, with a draw at 14/5. Fulham rarely start off well at home though – they have been losing at half time at Craven Cottage more times than they have been winning or drawing – but tend to pick up in the second half. This is reflected by the fact that they have won twice as many home games as they have lost by full time. Wigan, on the other hand, generally start stronger but then falter in the second half, so much so that they have the third-worst record for second halves away from home in the Premier League. Punters, then, should seriously consider backing Wigan to win the first half at 333/100 and for Fulham to win the second half at 23/20. Finally, for a longer shot, consider both teams to cancel each other out over the course of the game by backing the Wigan win/draw in the half time/full time market at 27/2.